But what remains a mystery is how colored dissolved organic matter which originates from plant detritus (either on land or at sea) makes it into the deep ocean. A team of scientists from the University of Maryland Center for Environmental Science and around the world potentially found a viable marine source of this colored material. In the deep ocean, dissolved organic matter displays a fluorescence signal that looks like what you’d see in a river or stream. It has been traditionally named humic-like fluorescence, assuming it comes from degrading trees and other terrestrial organic matter. Many scientists have hypothesized that this material found in the deep ocean is the remnants from rivers and streams around the world that carry it off the land and into the ocean. However, evidence is growing that there are marine sources of this material, which may well explain the majority of this colored material found in the deep ocean. In this study, chemistry and biology meet to see what is the evolution of compounds coming from a specific organism. We can trace it with optical ways and explain a signature we’ve been seeing a long time but haven’t quite understood. 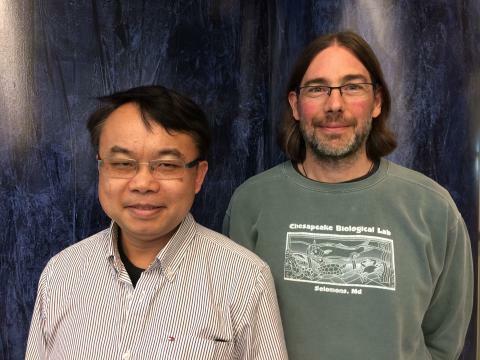 UMCES researchers Feng Chen and Gonsior took the first step in characterizing organic matter released from marine picocyanobacteria. "Our original plan was to understand the fate of organic carbon released from viral lysis of picocyanobacteria," Chen said. 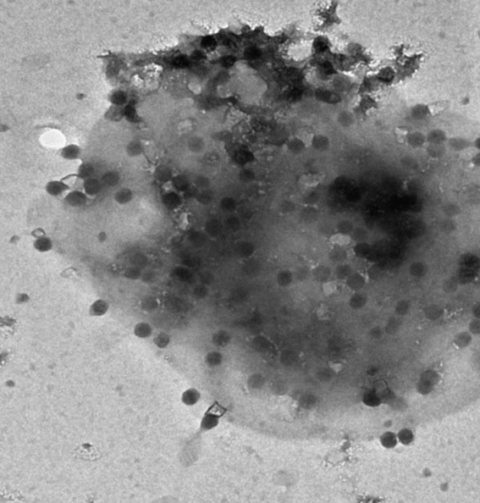 For the first time, researchers have shown that cultured picocyanobacteria, Synechococcus and Prochlorococcus, found in the open ocean release fluorescent components that closely match these typical fluorescent signals found in oceanic environments. If ocean warming continues, it is predicted that picocyanobacteria, which prefer high temperatures, will become more abundant and could increase 10 to 20 percent by end of century, Chen said. “These guys are very important,” he added. "Two genus of picocyanobacteria - Synechococus and Prochlorocccos - are the most abundant carbon fixers in the ocean," he said. His lab maintains a collection of marine cyanobacteria and cyanoviruses. Some of these isolates were used in this study. Gonsior and Chen looked at the strain of Synechococus and stumbled upon the discovery. Chen, a molecular biologist, and Gonsior, a chemist, planned to measure the fate of dissolved organic matter by examining the molecular composition using state-of-the-art mass spectrometry undertaken in collaboration with Professor Philippe Schmitt-Kopplin at the Helmholtz Center for Environmental Health in Munich, Germany. Many biological compounds glow when excited with light. Gonsior decided to do optical analyses that measured the absorbance and fluorescence, the kind he routinely does on water samples in his lab. The study, “Picocyanobacteria and deep-ocean fluorescent dissolved organic matter share similar optical properties,” appeared in the May 17 issue of Nature Communications.